Luke Walton will try to improve the Warriors’ record, if not his own, to 20-0 on Wednesday against Charlotte. Settling the debate once and for all, the N.B.A. issued a statement on Tuesday clarifying that the league will not alter its policy for crediting wins and losses to interim coaches. 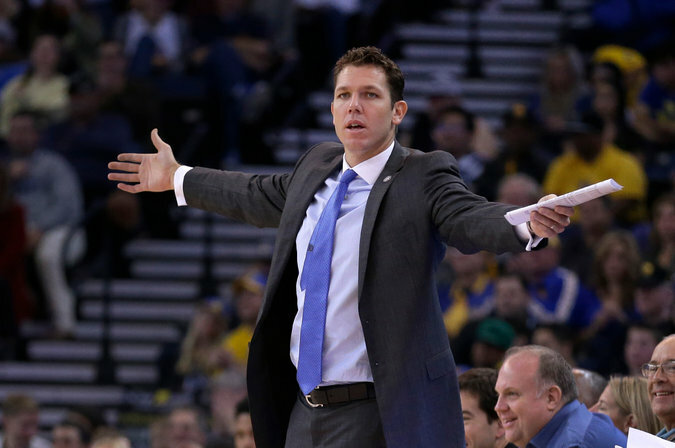 Steve Kerr, the head coach of the Golden State Warriors, will receive credit for the team’s record under the watch of Luke Walton, who has been running the team in Kerr’s absence. In a nod to the unusual circumstance of Walton’s leading the team to a 19-0 record as Kerr recovers from back surgery, the league announced that interim coaches, like Walton, would be eligible for coach of the month honors, which had been a sticking point for many critics of the policy.